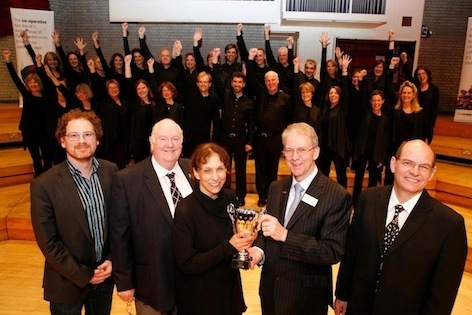 On Sunday 4th December 2011 Skolia set out at 7am from London to take part in the annual Manchester Amateur Choir Competition at the Royal Northern College of Music. The miserable weather didn't dampen their spirits. They competed against 11 other groups from across the country and their varied programme encompassing 4 languages impressed the judges so much that they came away with the winning trophy. "...got the hairs on the back of my neck going..." "...Wonderful attention to detail and tuning..."